What is Nitrous Oxide? Smile, the New Year is Almost Here! It's a moment many of our patients have experienced. One second you're chewing on a piece of gum, then suddenly you forget to keep chewing and swallow the entire rubbery gob whole! It's at this point you remember your mother warning you as a child that if you swallow gum it will stake a claim and take up residency in your belly for seven years. 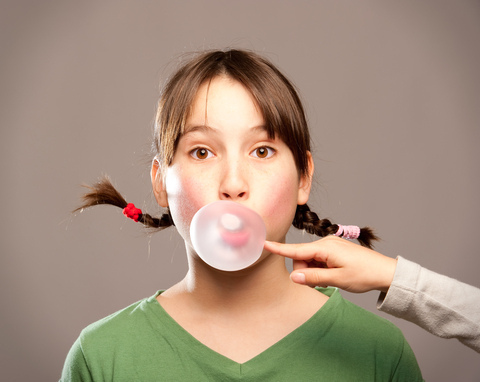 Dr. James McCreary and our team at McCreary Family Dentistry hate to take all the fun out of the mystery, but the truth is that chewing gum, when swallowed, will enter your stomach and move through your digestive system just like any other piece of food. So, if you ever accidentally swallow a piece of gum, there is no need to worry!